An anthology of stories inspired by objects from the First World War. 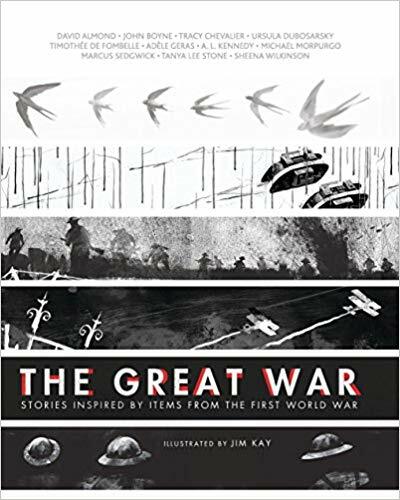 It is a collection of stories by bestselling authors, each inspired by a different object from the First World War. Each object illuminates an aspect of life during the war, and each story reminds us of the millions of individual lives that were changed forever by the fighting. I received a free audiobook version of this book through Audiofile Sync's summer reading program for teens. There was no expectation for a review. This was a varied collection of stories written by several authors. Some of these stories resonated with me more than others did, which is pretty common with anthologies. I thought it was interesting how many of the stories focused on main characters who were children. I'm a bit disappointed that most of the stories are set in more modern times though. I was really kind of hoping for a fictionalized look into life during the war based on the chosen items. I did get that from a few of the stories, but that was the exception rather than the rule for the anthology as a whole.